We know it's a big decision to install central air in your home. We can help. If you think SpacePak might be a good fit for you, this collection of resources explains the nitty-gritty details of how SpacePak works. 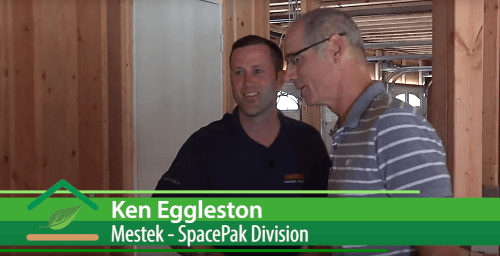 We’ve compiled a list of Frequently Asked Questions to help you gather the information you need about installing a SpacePak system. Contact a certified contractor or a SpacePak representative for more information. 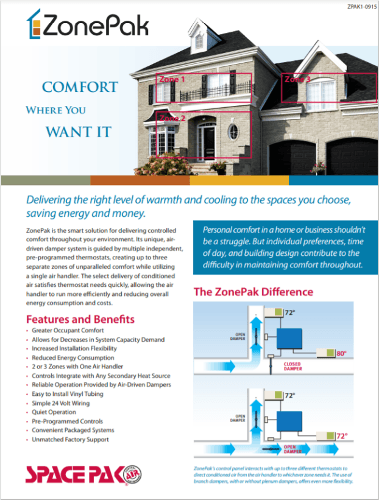 What is the SpacePak Small Duct High Velocity (SDHV) central heating and cooling system? 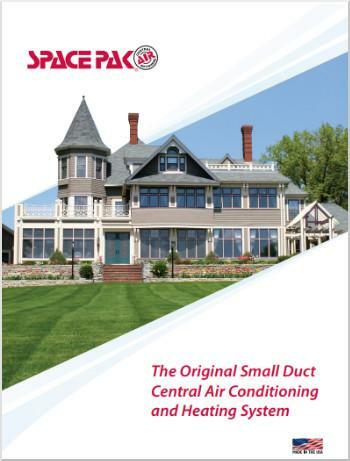 SpacePak Heating and Air Conditioning systems are Small Duct High Velocity central comfort systems that are ideal for buildings, or homes that are hard to cool, or heat. 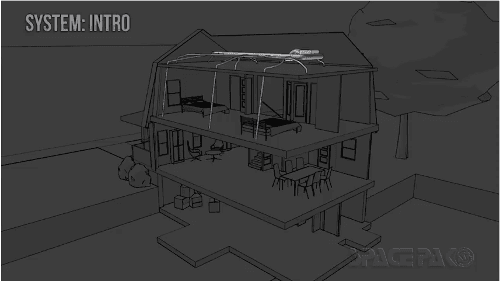 Structures with unique construction, limited mechanical space or homes heated by hot water, steam, or radiant heat are all ideal applications. SpacePak’s small, flexible duct runs make even the toughest jobs possible. SpacePak is also very efficient when compared to conventional air conditioning systems. SpacePak reduces the amount of humidity by an additional 30% over conventional systems making it very cost effective and comfortable. How do I get a quote on a SpacePak system for my house, or building? You can click on the "Find A Certified Contractor" tab and submit the form provided. 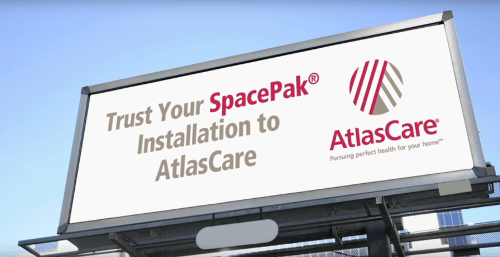 You can also call 800-465-8558 which will direct you to your local authorized SpacePak Representative who will be able to answer any questions you may have and put you in touch with a SpacePak Certified Contractor in your local area. How can I buy SpacePak equipment? 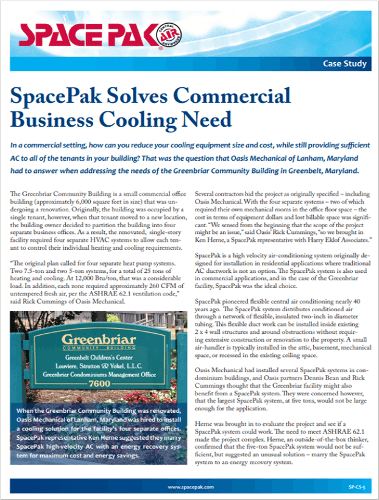 SpacePak is sold to installing contractors by stocking HVAC distributors throughout the country. 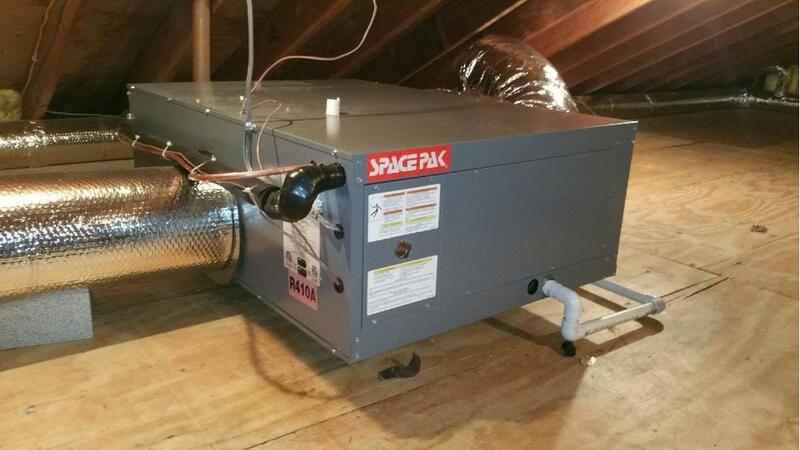 SpacePak strongly recommends that our systems be installed by heating and air conditioning professionals familiar with SpacePak installation and local code requirements. 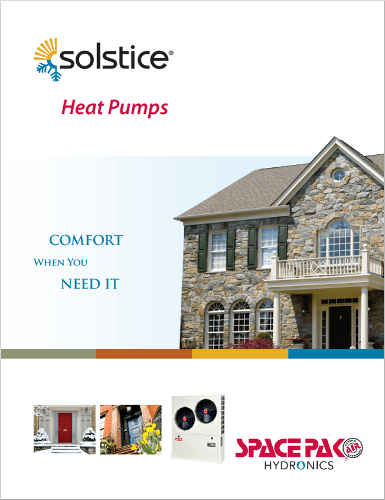 The stocking HVAC distributors only sell to professional contractors. Yes… SpacePak DX Air Handlers are all Heat Pump compatible. We also have both Hot Water heating coils and Electric heating coils for use with our system. 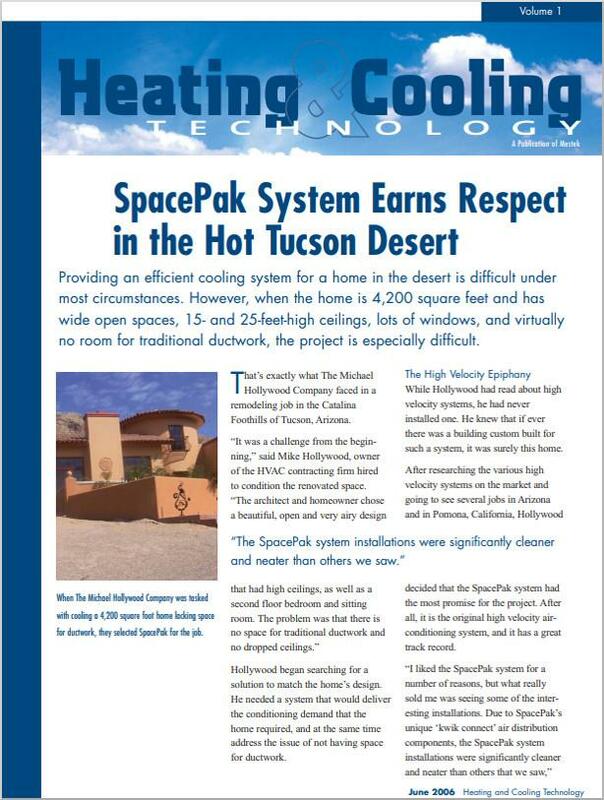 In fact, using your SpacePak system with a hot water coil works really well as a supplemental heating system when the house is primarily heated with a radiant system. 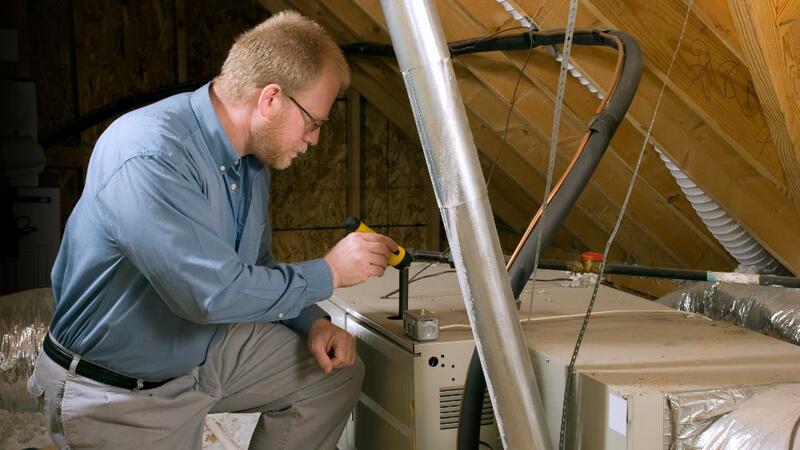 A Certified Contractor can help you determine the best heating option for your area. System sizing depends on the location of your home, construction quality, insulation values, windows and amount of southern exposure. A Certified Contractor will perform a room by room load calculation to determine the number of Tons required to cool, or the number of BTU’s required to heat your home. 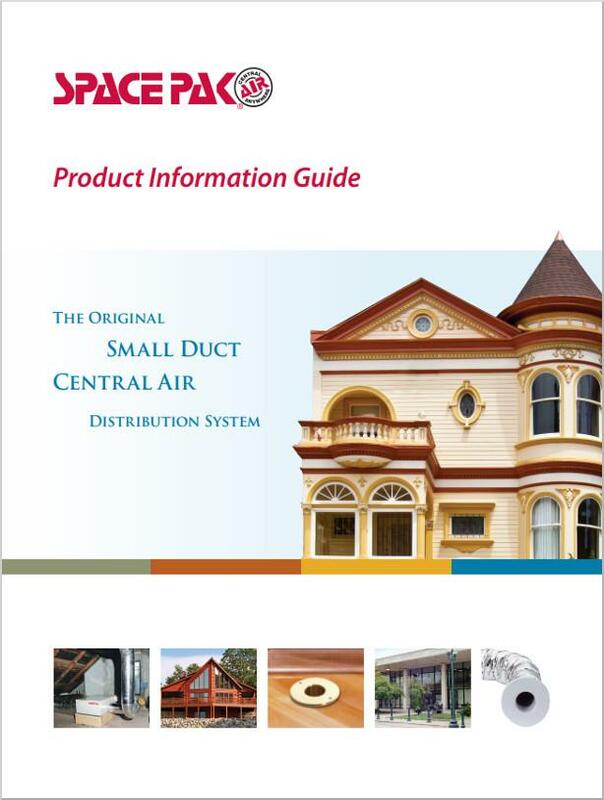 Can Small Duct High Velocity air systems be zoned? 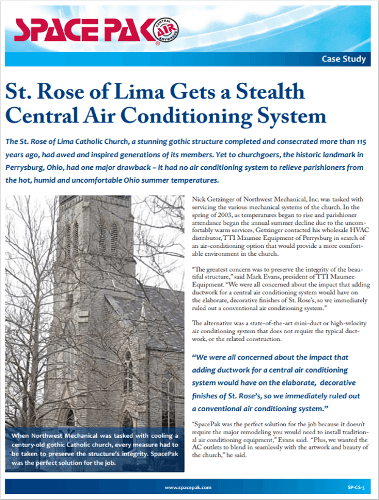 Refrigerated Central Air Conditioning is often zoned to keep the purchase and running costs to a minimum. Typically, the house is zoned according to the families' lifestyle. 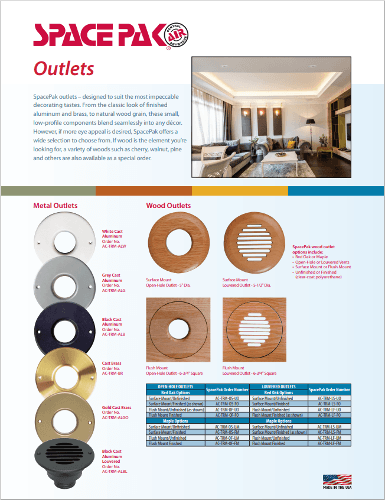 Zoning works by using a series of specialized dampers within the SpacePak's small, flexible hose ductwork to direct the flow of air through the ducting system to one area or another, depending on cooling (or heating) requirement. Ready to get started? We work with hundreds of Certified SpacePak Contractors throughout the U.S and Canada. 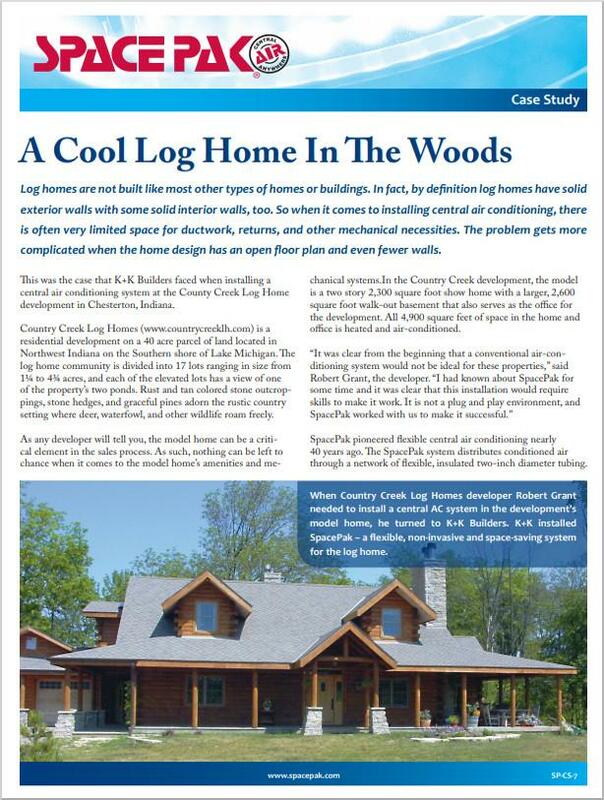 Fill out our quick survey, and we’ll get you in touch with a local contractor, today. Already own a SpacePak system? These resources will help you maintain your system. Does your SpacePak system require maintenance? Contact one of our certified contractors to schedule an appointment. 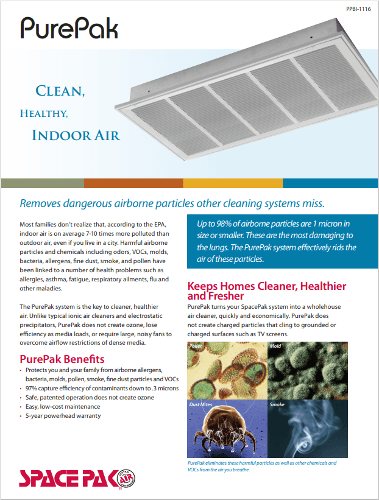 Looking for outlet plugs for winter or need to buy new PurePak filters? You can purchase all of this and more directly from us. Browse our store for all things SpacePak. Learn more about the warranty available on your SpacePak system. If your SpacePak system was installed by a factory-trained Certified Contractor currently registered with SpacePak, an extended 5 year warranty is available to you. Read up on your SpacePak warranty here and check our Certified Contractor Map to see if your installer is registered. 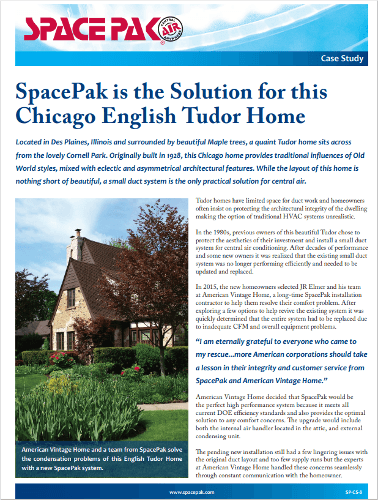 News bulletins and press releases from SpacePak.